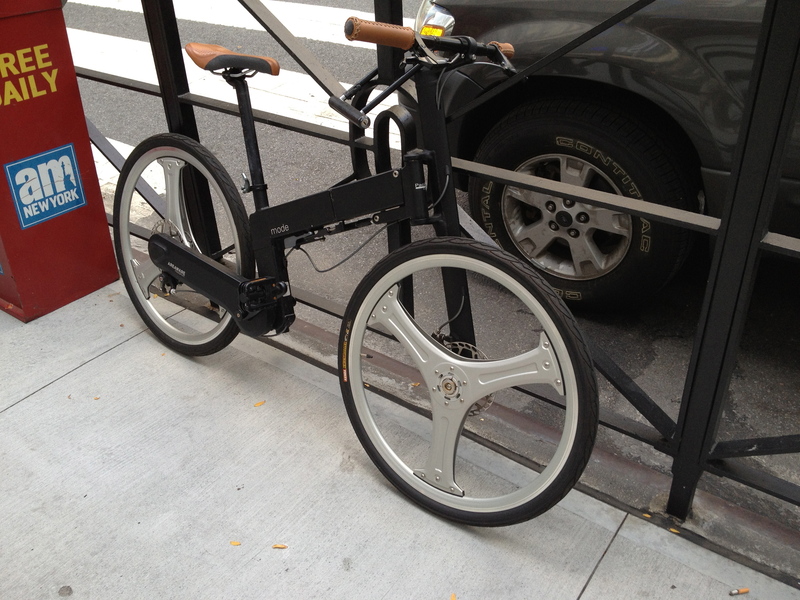 Cool Bike I saw locked up in the city. From what I can tell it has disk brakes, single sided axels, no chain drive (axel drive i suspect), and a bike lock cut out under the handle bars. Looks like it folds in half too.